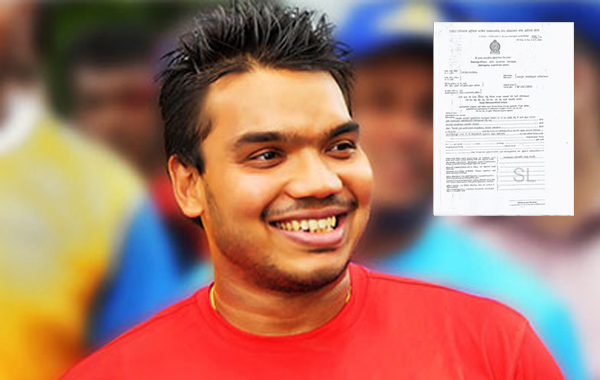 Daily News Online has obtained a copy of the ‘B report’ filed by the Financial Crimes Investigations Division (FCID) of the Police, before the Fort Magistrate's Court, on the arrest of Parliamentarian Namal Rajapaksa. The FCID presented the report to the Fort Magistrate soon after the Parliamentarian's arrest, on Monday. The B report explains in detail why the MP was arrested over charges relating to alleged financial misappropriation. 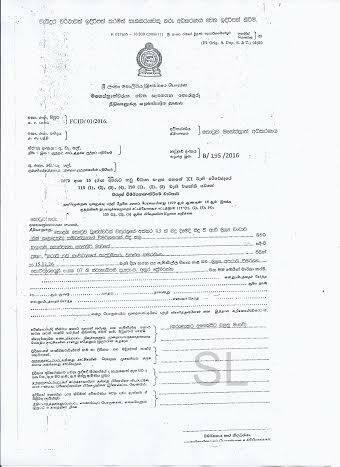 In the report, the FCID stated that the Indian company had granted Rs. 70 million for the development of rugby in Sri Lanka and that the amount was given to Ceylon Premium Sports President Nihal Perera. The FCID said the Indian company Krrish Group had remitted the money to a HSBC bank account belonging to Nihal Perera, and that he had later given the money to Rajapaksa. The FCID said that in his complaint, JVP Provincial Council member by Wasantha Samarasinghe had alleged that the money granted by the Krrish Group had been misappropriated by the suspect. From whom has this young man learnt all these frauds and money manipulations? Generational blood line iniquity uncleansed, goes on increasing till the point of no return, when hell breaks loose. No way to serve both God and Mammon. This is what happens to all who worship only money, even if they break coconuts or light lamps.